Welcome to our website, we have put this resource together to provide no obligation, friendly support and advice about the care for various breeds of tortoises. 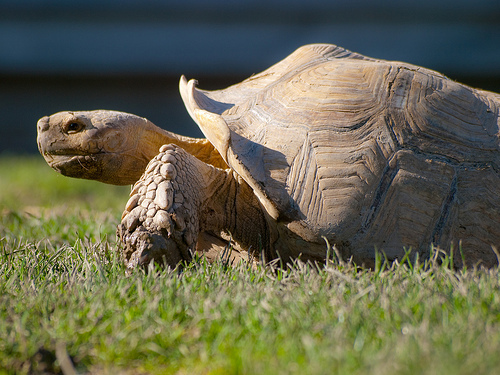 Run by a team of tortoise enthusiasts the site has been designed to be easy to use and provide a great user experience so that keepers can come and learn about the basic needs and requirements for their tortoise. Many people do underestimate the commitment and knowledge involved in keeping a tortoise which is why we have decided to start a tortoise blog to give a brief overview on the main aspects of tortoise care. Much of the advice on this site is aimed at Mediterranean tortoises although it can be applied to most breeds and we must stress it is solely for educational purposes only. We are a completely non funded organisation and operate completely separate to the BritishTortoiseSociety.com who also do a great job of helping and educating tortoise owners. Finally we would like to say thankyou to ExpressGardenStorage.co.uk for supplying us with a new outdoor tortoise enclosure.